Using the Sprint AirFluid allows you to work directly out of the carton. 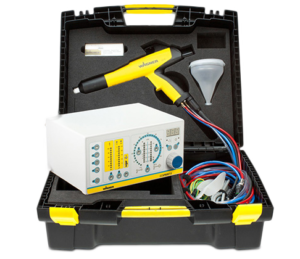 Ideal for small batches and frequent paint changes. All parameters are set and saved via the EPG-Sprint X. 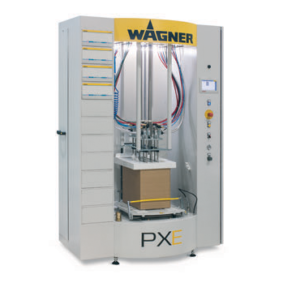 In combination with the PEM-X 1, perfect surfaces are achieved. 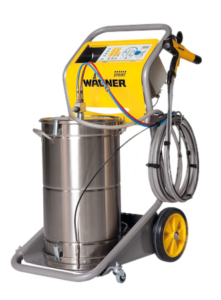 The Sprint 60L is used to fluidize the powder in a 60 liter stainless steel tank. 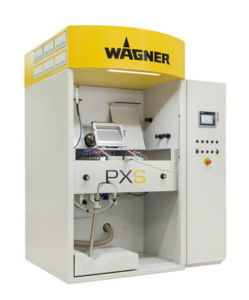 All coating parameters are set and saved using the control unit EPG-Sprint X . In combination with the PEM-X 1, perfect surfaces are achieved. 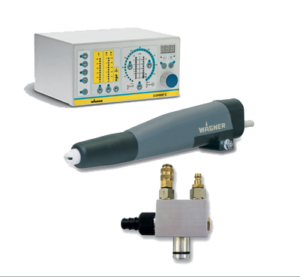 This set is a ready to use coating device. With air pressure and powder supply the device is ready to start powder coating. 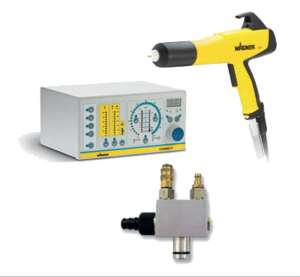 An ideal solution for small parts and mobile use with excellent coating results. 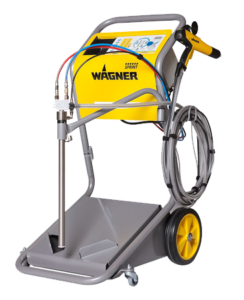 In a few steps, the kit is converted into a mobile coating system that can be set up anywhere – so you’re ready to use your powder material quickly and easily on site. 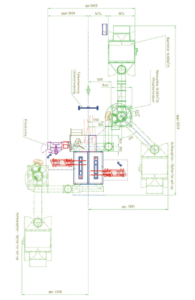 With the two supplied guns, both the Corona and the Tribo process can be applied. 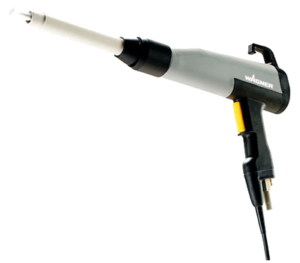 Ideally suitable for two-layer coating applications. 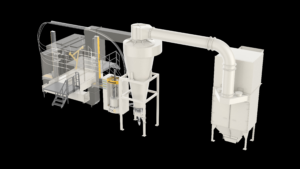 The set consists of the central components for the installation of a powder coating system. 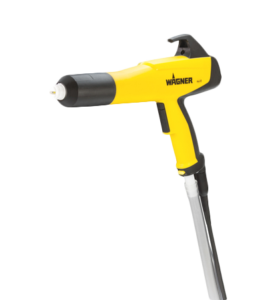 A manual gun, a gun control unit, an injector, and a connection hose set ensure high-quality coating results. 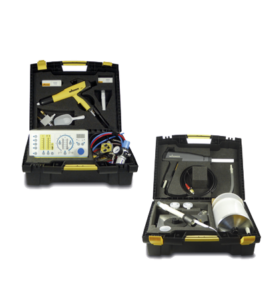 Powder sets consist of the core components of application equipment, namely a control unit, guns, feed system and connection components. 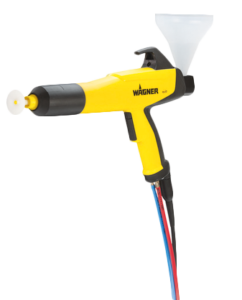 The simple handling and perfect ergonomics of WAGNER cup guns make them ideal for lab and development purposes and for powder coating individual items and very small quantities. 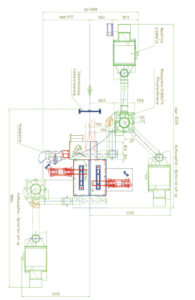 Tribo manual guns are designed for processing Tribo powders. They offer an excellent loading system, great ergonomics and are very light. 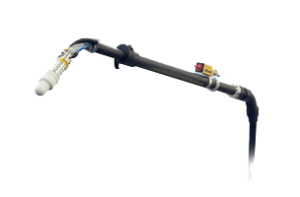 Corona automatic guns for automatic powder coating. Tribo automatic guns for automatic powder coating. 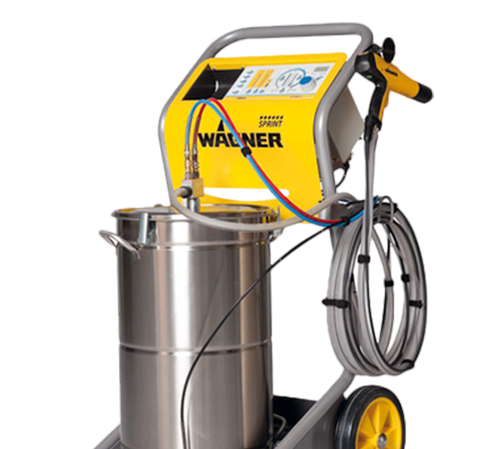 Powder coating systems and equipment for small or large operations. 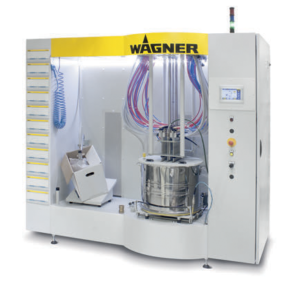 Our expertise allows us to help you choose the best possible equipment for your application.